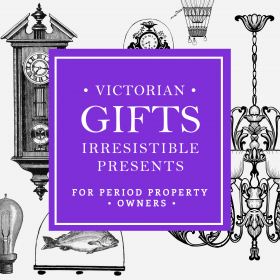 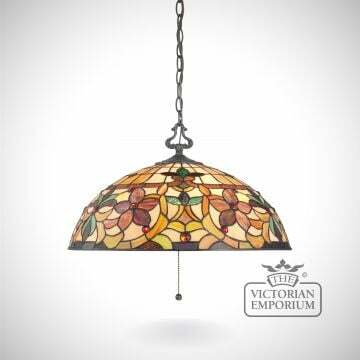 The name Tiffany is synonymous with products featuring stained and art glass pieces, copper foiled together, and particularly light fittings that benefit the beauty that the electric light bulb does to these when lit. 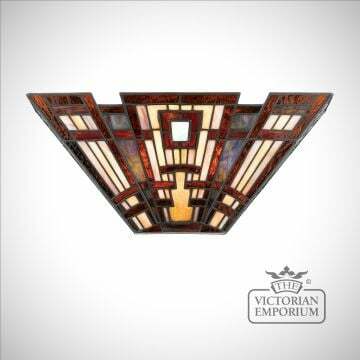 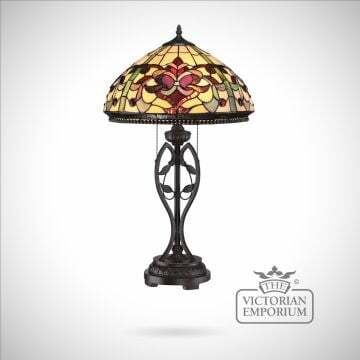 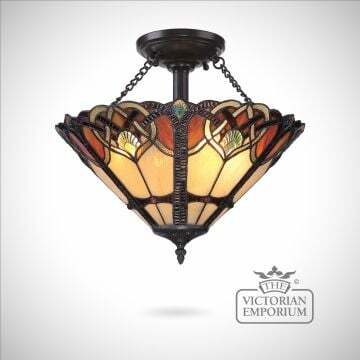 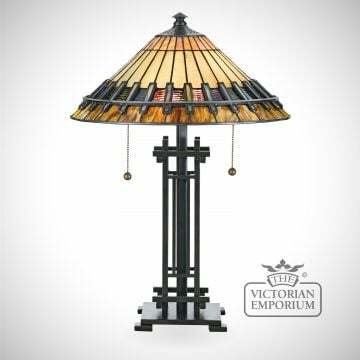 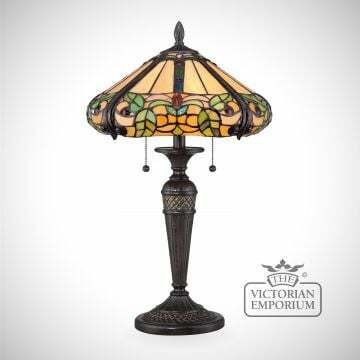 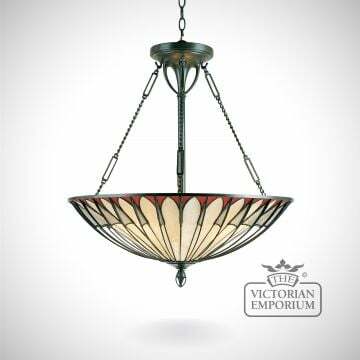 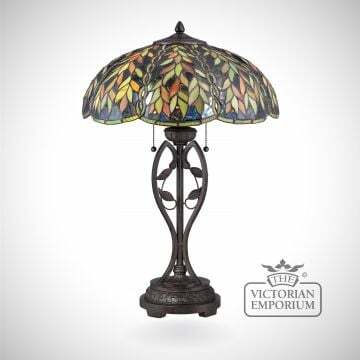 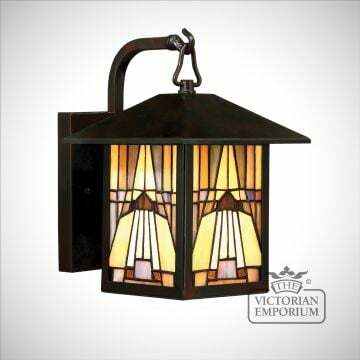 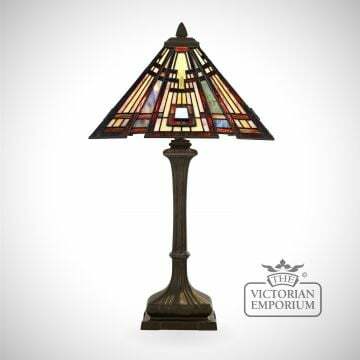 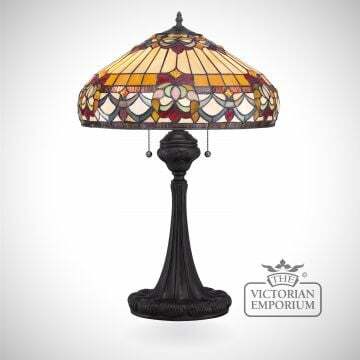 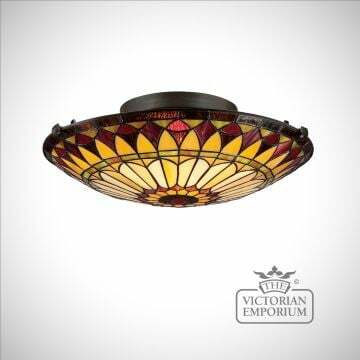 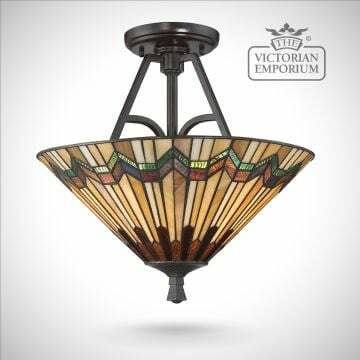 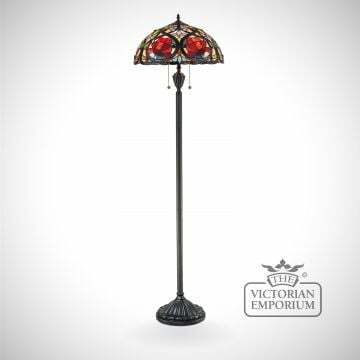 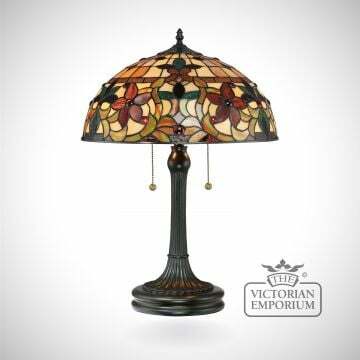 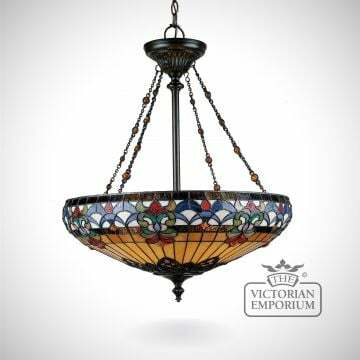 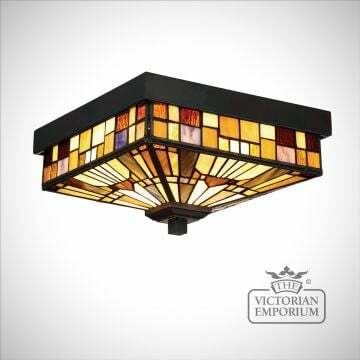 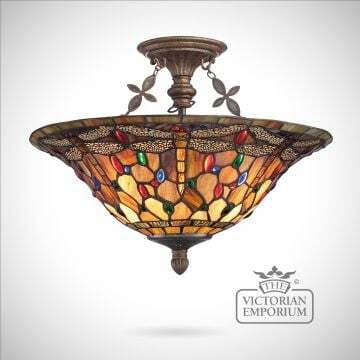 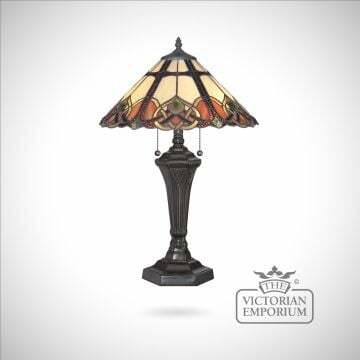 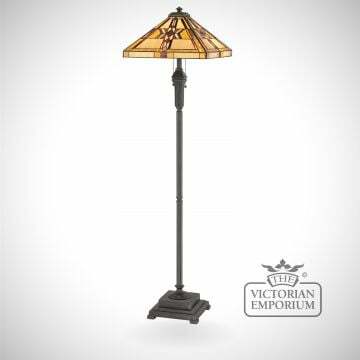 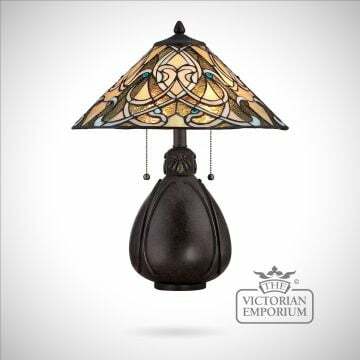 This range of Tiffany style lighting captures the Tiffany spirit; from highly traditional and transitional styles to more contemporary interpretations sure to suit any modern-day décor. 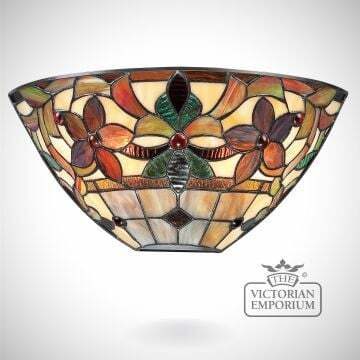 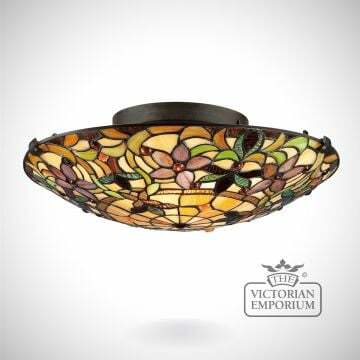 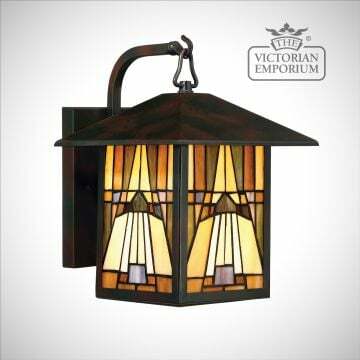 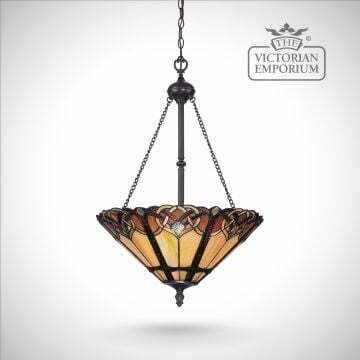 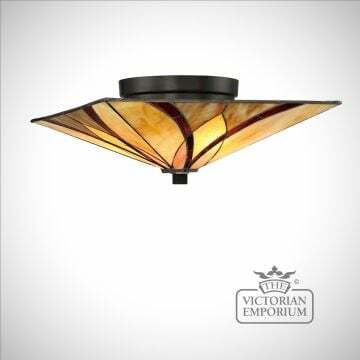 This semi flush mount design features a soft green, amber and cream glass pieces. 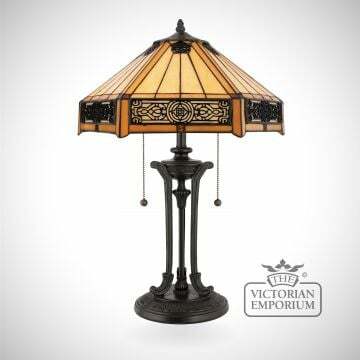 The structure is finished in bronze. 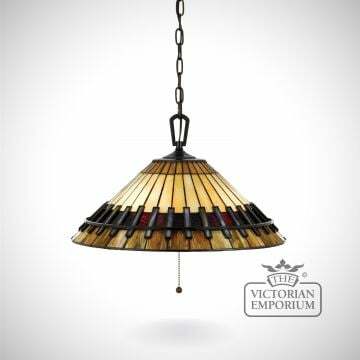 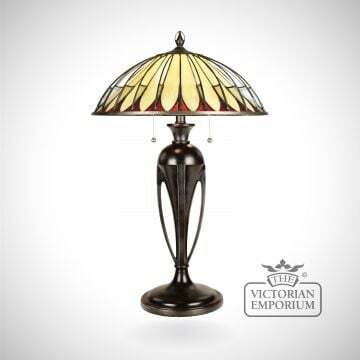 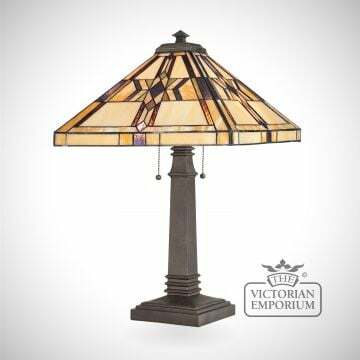 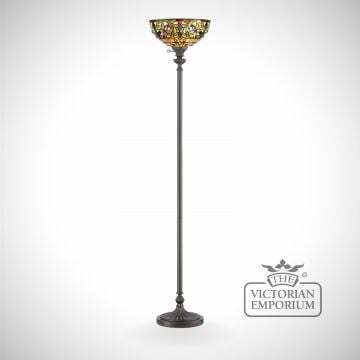 The India is a small table lamp which features an interwoven design of cream and gold cut glass with blue jewels around the shade. 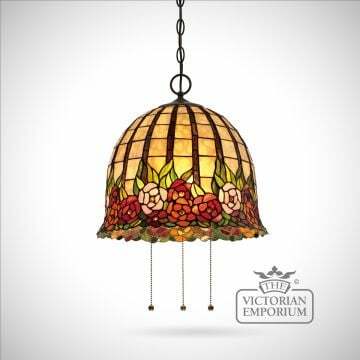 This elegant Bellefleur design features over 500 individual pieces of hand cut art glass.